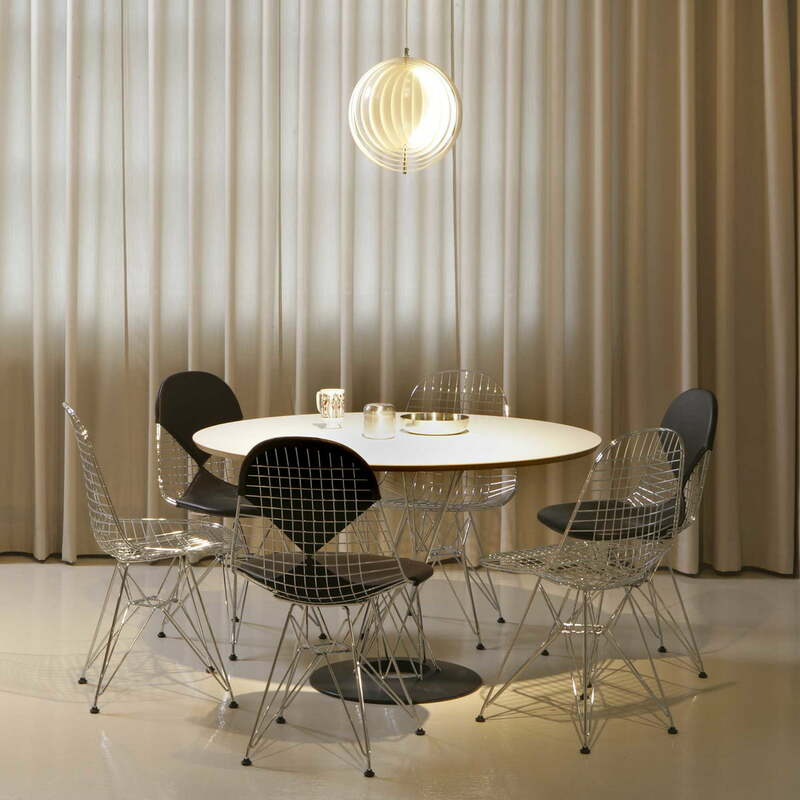 Formally, the Wire Chairs by Charles and Ray Eames are a variation of the Eames Plastic Side Chairs. DKR combines transparency and functionality with the legendary "Eiffel tower base". 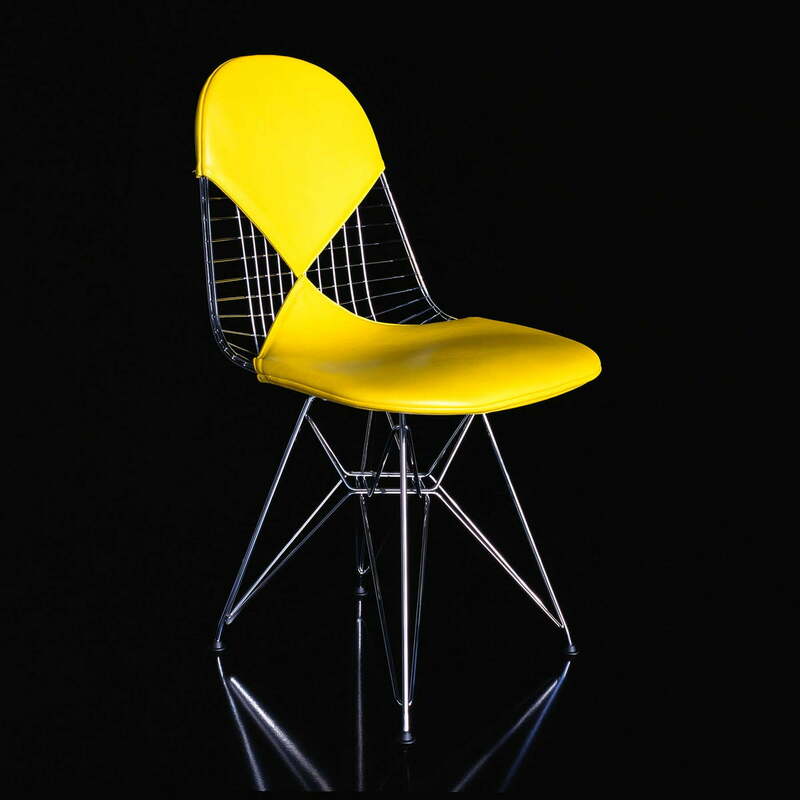 With the Wire Chair made of welded steel wire, Charles and Ray Eames varied the theme of the organically shaped one-piece seat shell with an expression of light transparency and high technicality. They are available with various base frames. 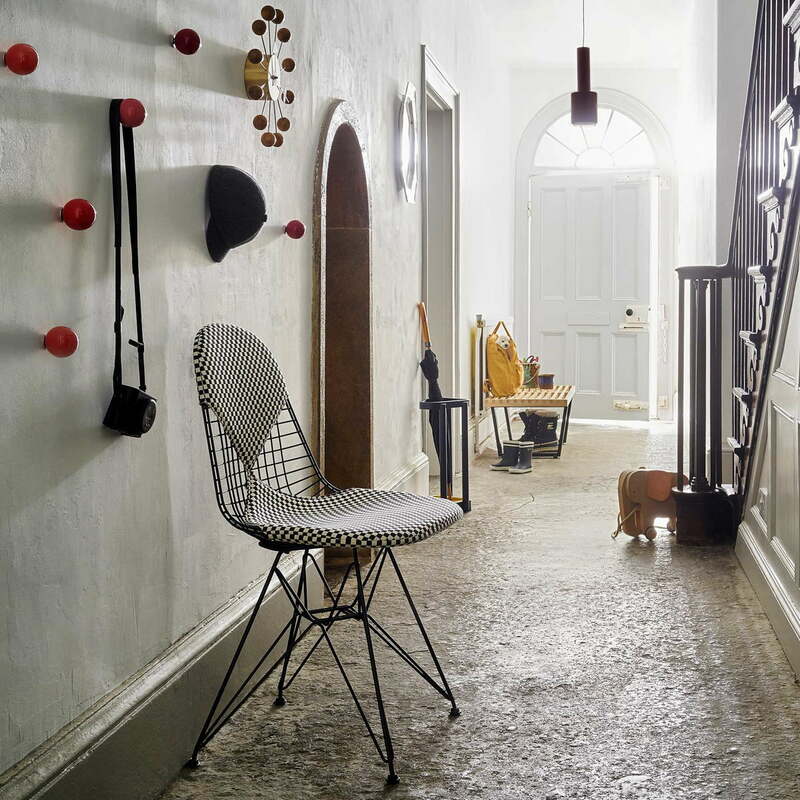 The Wire chairs are available without upholstery, with a seat cushion or with a two-piece seat and back cushion. The latter are due to their shape also known as "Bikini". Coming in different variants, the chairs are available with cushions or individually, so that you are able to simply add the cushions later, if desired. 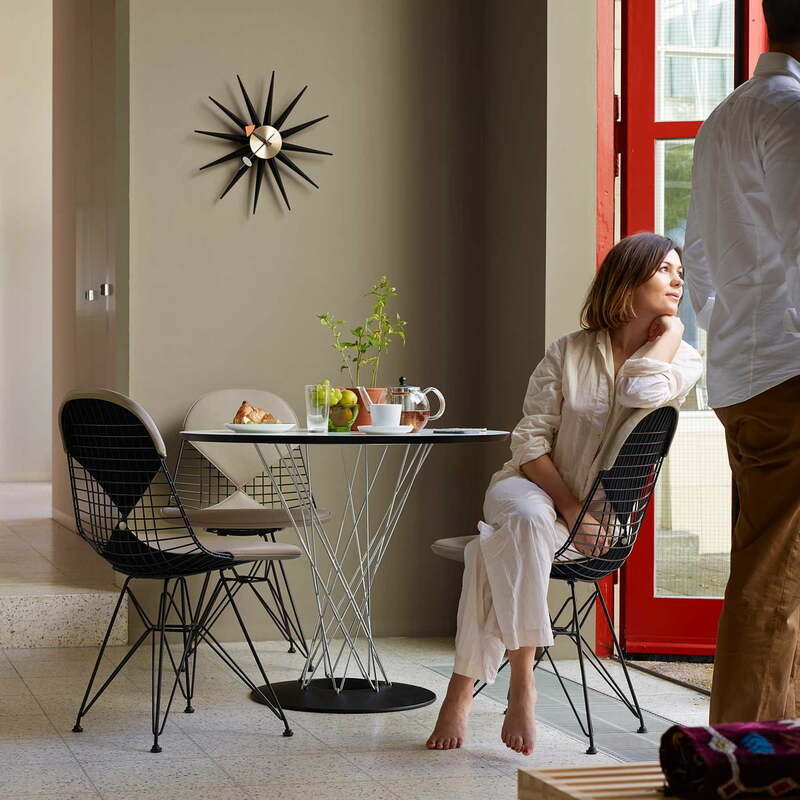 In 2016, Vitra increased the Wire Chair’s base frames by approx. 20 mm and adapted their geometry accordingly. These aesthetically barely noticeable measures give the chair classic enhanced seating comfort in combination with contemporary tables. 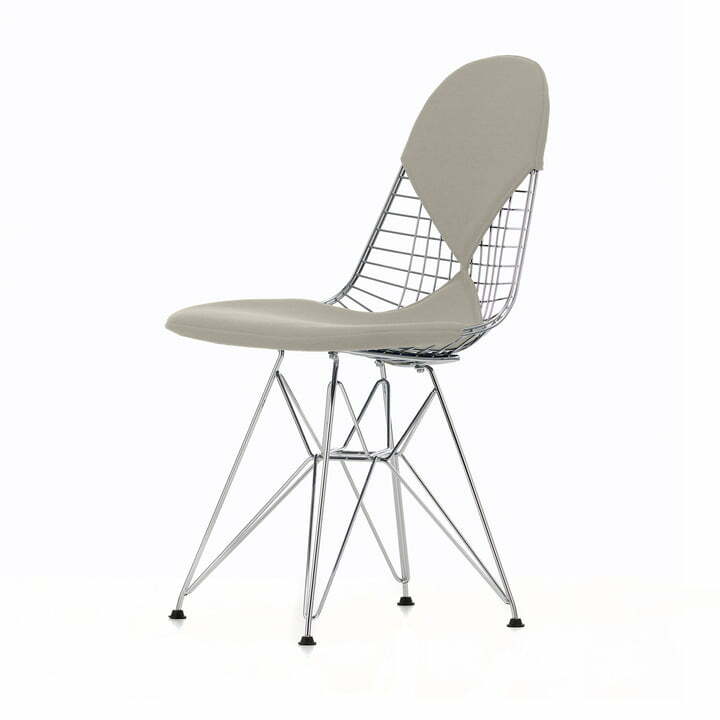 Wire Chair DKR-2 (new height) by Vitra in Hopsak warm grey / ivory / chromed frame. 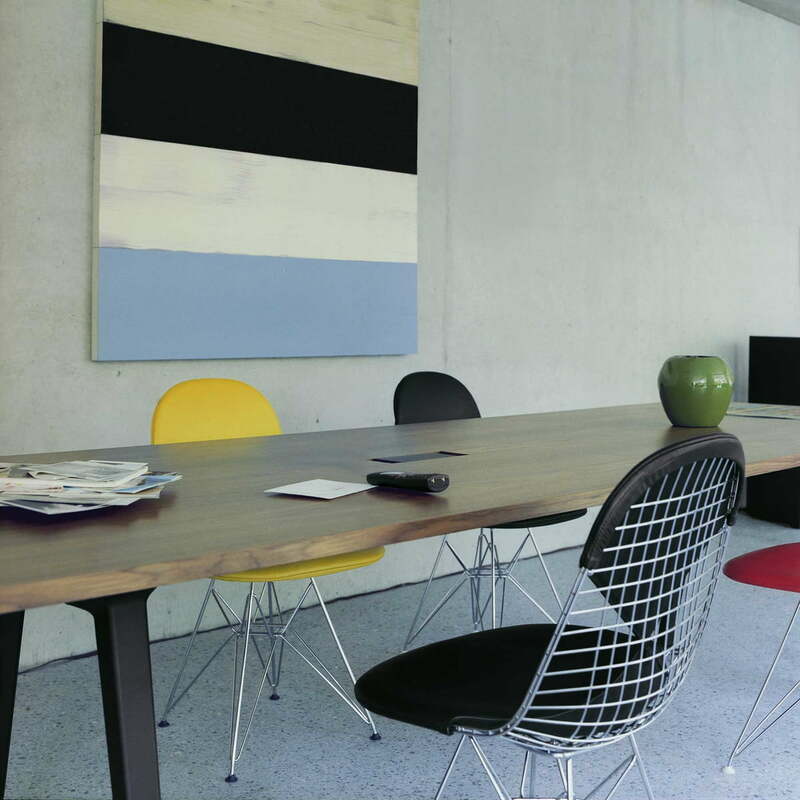 In 2016, Vitra raised the wirechairs' substructure by approximately 20 mm and adapted its geometry accordingly.